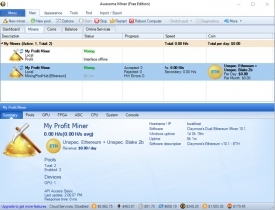 "An easy to use crypto currency mining tool"
Awesome Miner is a free program for mining crypto currencies using your computers unused processor power. Basically this means that you can go about your normal daily routines on your computer but you hand over some of your electricity and processor power to the Awesome Miner, there are some parts where you can choose for example which type of crypto currency that you would prefer to mine for but when starting out it’s probably a good idea to just start with the pre-arranged portfolios and allow the miner to do the work for you. 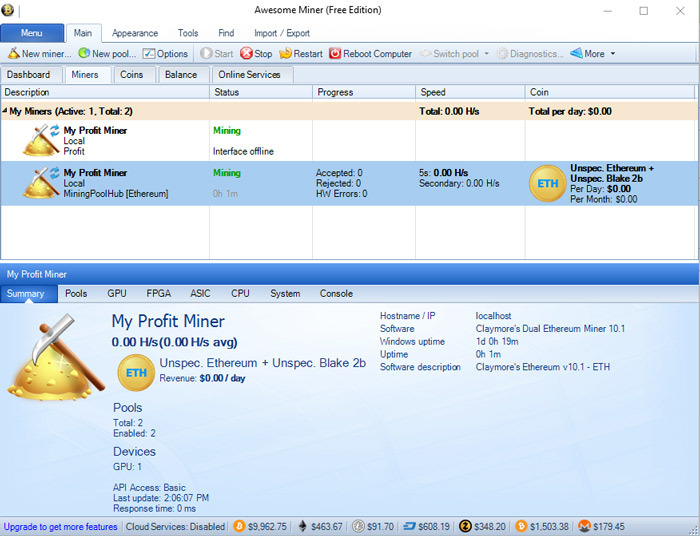 All you now need to do is sit back and watch as the interface starts the mining process, you’re not going to make hundreds in a day but if you’re using your computer then this is a great way to slightly top up your bank balance at any point where you would be using your computer anyway for example whilst working or watching a series online. This is the kind of program you really need to learn about and then use to make the highest amount of profit but if you want to make just a little money the simplest thing is to let the program do the hard work for you and just make sure you run it as often as possible. 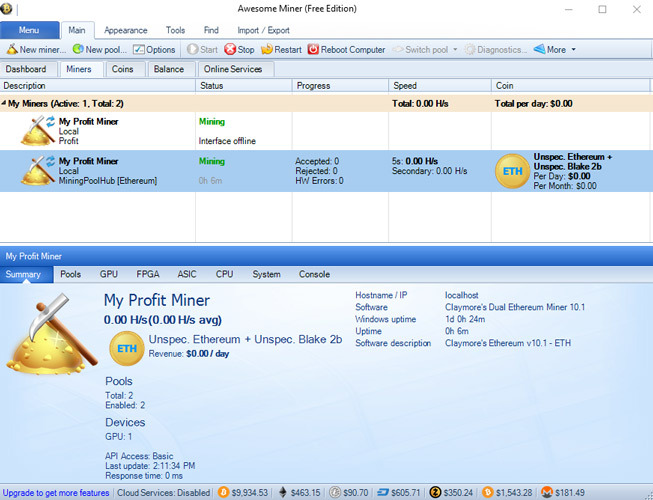 You can download Awesome Miner here for free.